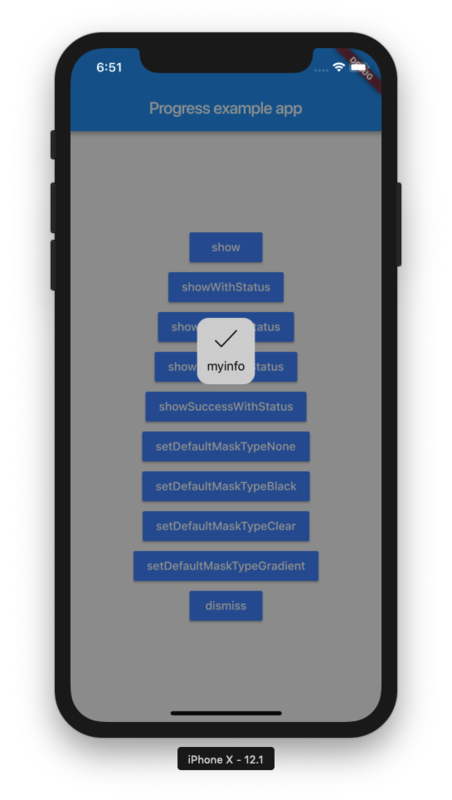 A useful Hud framework is implemented by calling native code by Flutter. With one line of code, you can call Hud out anywhere and control its hiding. In the example App, you can see how to use it. 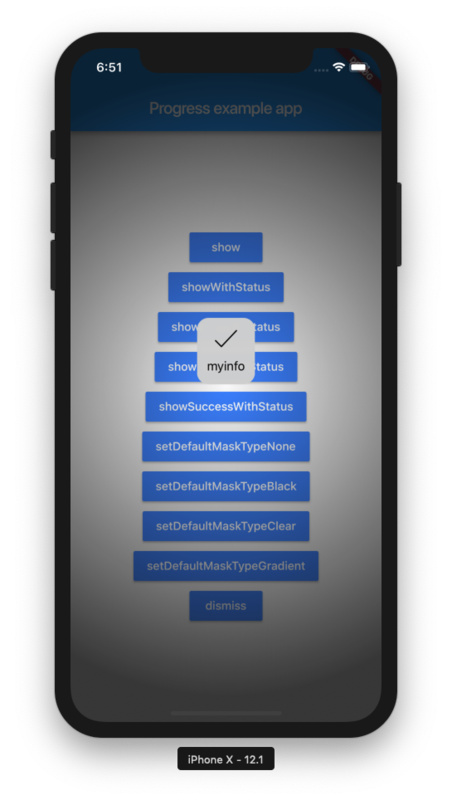 SVProgress HUD is used on iOS and SVProgress HUD-Android is used on Android (this package is a copy of iOS version). 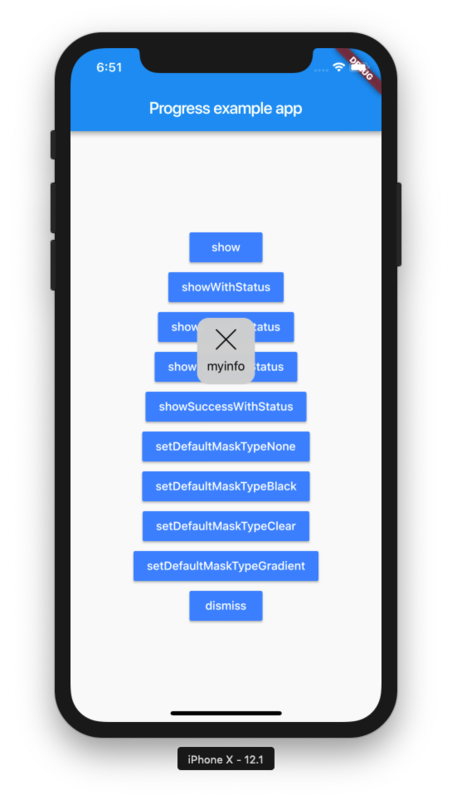 UI comes from the native layer, so there is not too much definition space. If you need to customize, you can rewrite the framework code on each platform separately (more troublesome). EasyUse ProgressHUD for flutter app. Demonstrates how to use the progresshud plugin. Useful hud contain loading（default），success，error，info。easyUse with oneLine code.